Fantastic opportunity to own this 16.4 acre multi use commercial property. Build your home on the upper part of the 16.4 acres and have a short commute down the hill to your business. 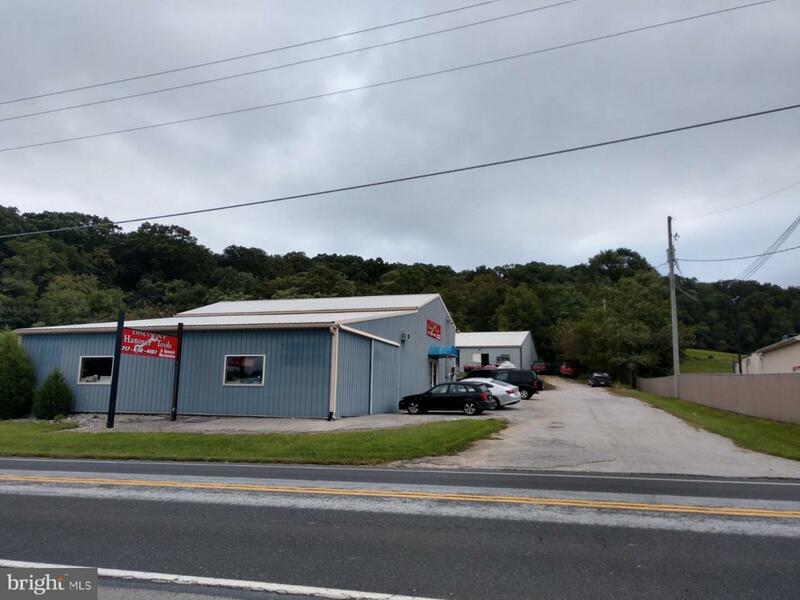 6 buildings included: 3380 sq ft Hanover Discount Tools with all inventory included- 4608 sq ft building currently being rented as an auto repair shop.1500 sq ft building currently rented for storage. There is also a mobile home used for storage and two single family homes. One currently being rented and one that is vacant but was damaged in a fire. Some work was done to repair home- new siding and some other things but needs more work. Both homes are included in sale in "as is" condition. Exclusions Contents Of Rental Home. Contents Of Mechanics Shop Behind Hanover Discount Tools. Inclusions 6 Buildings included. All inventory And Contents Of Hanover Discount Tools. Building Behind Hanover Discount Tools Has Has Been Leased As A Mechanics Auto Shop For 20 Yrs And Continues On A Month To Month Basis. Contents Of That Building Belong To Tenants.